I was so excited to make sourdough bread from the starter I made, that my mouth was watering when the aroma was filling the house! This is another recipe from Sally Fallon Morell’s cookbook Nourishing Traditions. I mis-read the recipe and let it rise a little longer than I should have – I think that is why the top turned a little white, but it did not make a difference to us eating it or the taste – divine! 1. 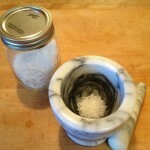 Place starter, salt and water in a large bowl and mix with a wooden spoon until the salt crystals are dissolved. 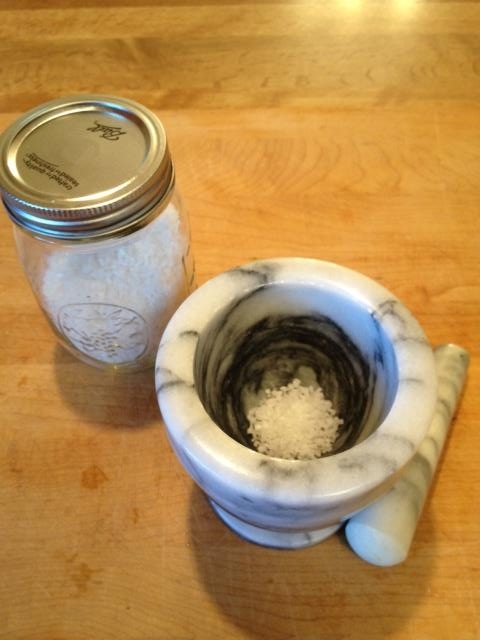 I ground my salt in my pestle and mortar. 2. 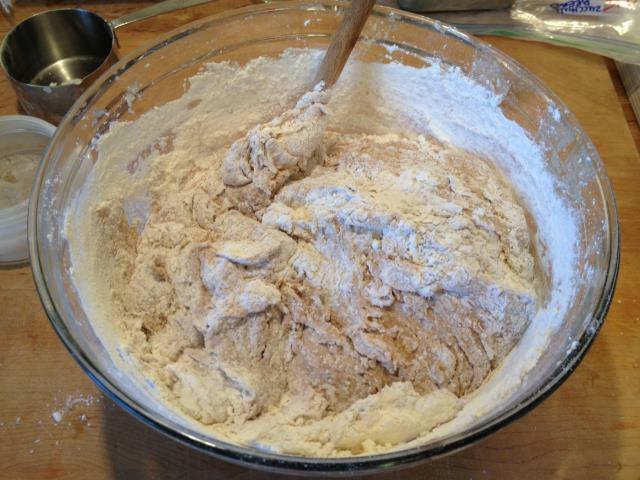 Slowly mix in the flour. 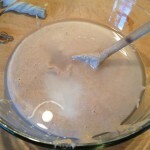 Towards the end you will find it easier to mix with your hands. 3. 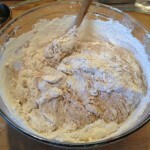 If the dough seems too thick you can add another 1/4 cup of water. 4. 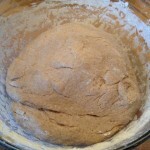 Knead by pulling and folding the dough over – this can be done right in the bowl. 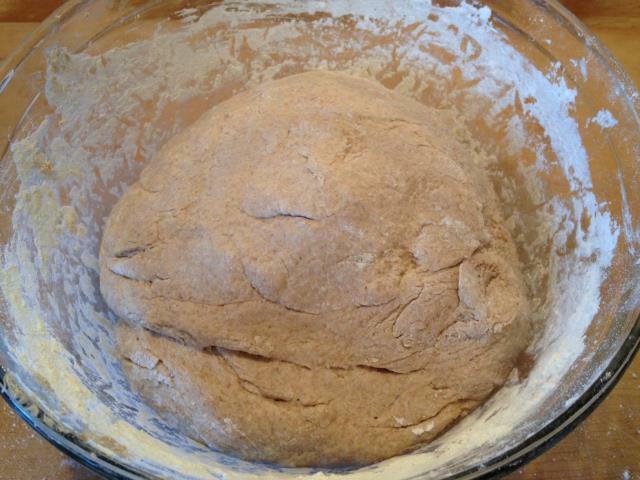 Knead for about 10 – 15 minutes. 5. 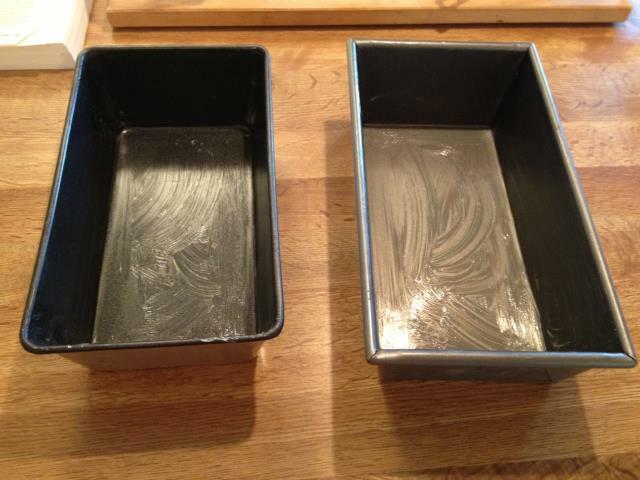 Butter your loaf pans well. 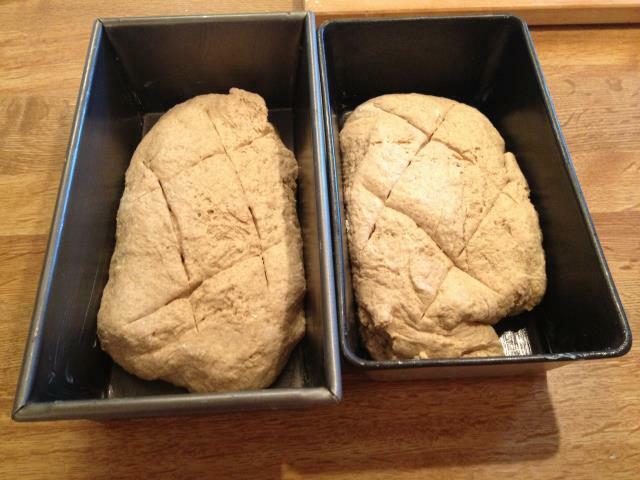 The dough should fill 2 – 3 loaf pans. 6. 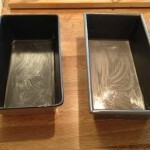 Without pressing down the dough, divide, shape and place in loaf pans. 7. 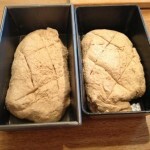 Cut a few slits on the top of the dough, cover and let rise 4 – 12 hours. 8. Preheat the oven to 350 degrees and bake for about 1 hour. 9. Take the loaves out of the pans and allow to completely cool on a rack. Slice and enjoy. 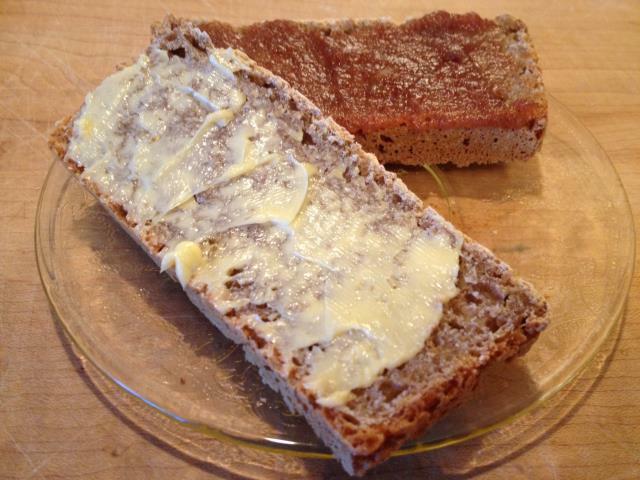 We tried with with a good slathering of raw butter and with some apple butter that I had just made. It was delicious! 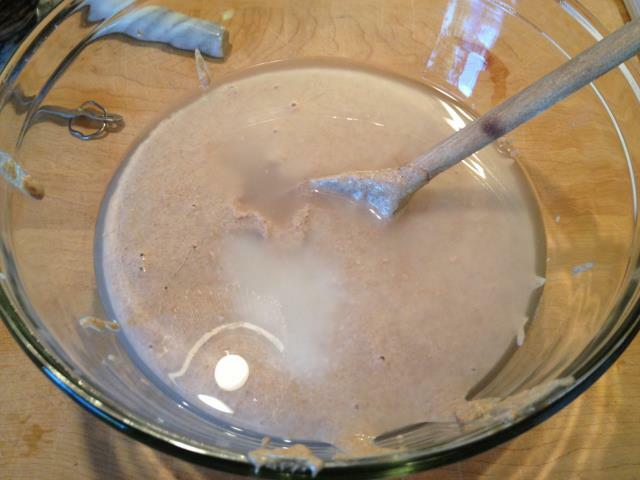 It was a true sourdough – I loved the flavor, I was not sure if Stella would. I cut her a slice with butter and she loved it!! Stella told me it was better than the bread I had been making. We have had the bread toasted with our eggs over easy in the morning and Stella loves it as the bread for her grilled cheese! Make some – I don’t think you will be disappointed! Ut will keep for up to one week without refrigerating and this bread freezes well. 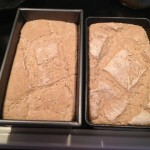 This entry was posted in Bread, Recipes and tagged recipe, sourdough bread. Bookmark the permalink. 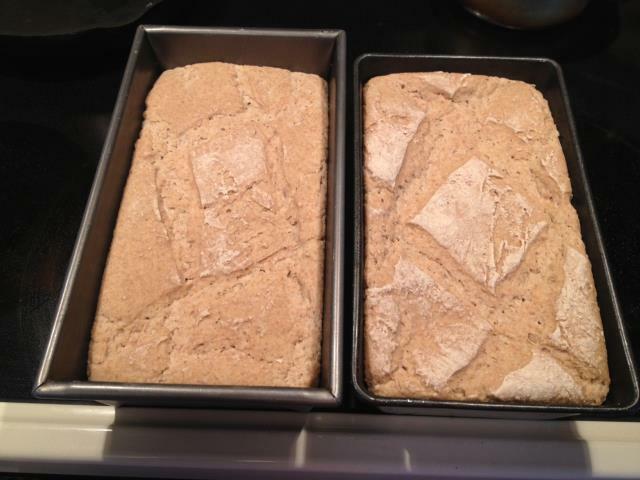 One Response to Sourdough Bread – Our New Favorite!